Expo Veneto: Smart Business. The company is going digital? Event > Smart Business. The company is going digital? SMART BUSINESS. THE COMPANY IS GOING DIGITAL? Part of COMPRENDEREXCAMBIARE 2015, the program of corporate culture by Unindustria Treviso, dedicated to trends that are transforming the world, a prerequisite to initiate change. The event has the purpose to understand the new developments of smart technologies useful for the business. Unindustria Treviso, UNIS & F, Bit Club, Club TI and Computer Without Borders organized an event to understand the new trend of smart technologies useful for the business. 2015 Internet advertising will constitute 25% of the advertising market, but the e-commerce represents only 4% of total sales in Italy. All business then will be enabled by digital. The event will include elevator pitch, contributions of international players, companies, academia and strategic advice during the morning; in the afternoon will alternate, instead, workshops and thematic presentations on various topics: internet of thinghs and drones, 3D printing, big data and business analytics, cloud computing, smart working, city, education, operations and technology, wearable mobile security, e-commerce, web marketing and advanced materials. Do you want to talk about your project? Have you got a product that you feel smart? Have you developed a service in which technologies are really business enabler? The best six works will be presented on stage May 22. The event will take place May 22, 2015, from 9:30 until 17:30, at the Auditorium of Piazza delle Istituzioni in Treviso. Unindustria Servizi & Formazione Treviso Pordenone S.c.a.r.l. 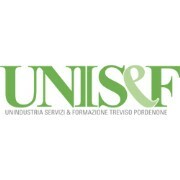 - UNIS&F - is the training and services branch of the Unione degli Industriali of Treviso and Pordenone, representing over 3000 regional companies. It acts as a single point of reference to optimise the organisation of company business processes and to respond to the training requirements. Aid companies in the sourcing of funding for training programmes and consultancy services. Human Resources research and selection activities through Unimpiego Confindustria, guidance for the unemployed and workers on redundancy payment, promotion of internships, work placements and job reintegration. Support, management and organisation of examinations to obtain certification in specific abilities (English language LCCI, Italian as a Foreign Language, achievement of European Computer Driving License ECDL and European Quality Driving License EQDL). Seeking funding through regional and interprofessional funds (ESF, Fondimpresa – Fondirigenti) to provide training activities. Planning, creation and reporting of subsidised activities for the benefit of companies, workers and job seekers.